Playtech is one of the largest software suppliers of the online games located at the Isle of Man, a self-governing British Crown Dependency. Established in 2000, this company is a great example of success based on a constant development and innovations in the area of online gaming. Playtech offers a wide range of solutions for the online casinos around the globe, in particular an excellent line of classic and modern slot games, quite popular on the market. Unique themes, innovative gameplay and design give this software company an edge over its competitors, making Playtech one of the largest publicly-traded software companies on the market. As a reliable business partner, this company meets regulations of all jurisdictions in which it operates and continues to constantly improve its services and products. The company offers classic table and card games, online slot games and progressive jackpots, video poker, video slots and many other games. Playtech offers an excellent choice of the most played and top rated online slot games, allowing each player to choose a slot game of their choice. Innovative and unique slot machines created by this software company can be played in over 30 various languages using different currencies. 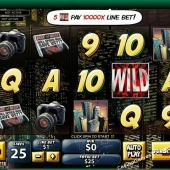 All slot games can be played instantly in flash from the browser or as a part of downloadable software, providing players with a freedom of choice. 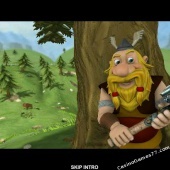 Video slots created by this software company feature unique themes and offer a large number of paylines, advanced 3D graphics and various bonus features. Brand games like Gladiator, Pink Panther and the Marvel Movie slot games are widely admired by the slot fans all over the world. Playtech is also famous for developing the series of online slot games named Marvel Movie slots, as a result of its cooperation with the Marvel Entertainment. 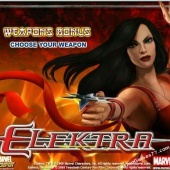 Marvel Movie slots are highly favored by veteran slot players and all fans of Marvel classics. Slots like Daredevil, Fantastic Four, The Incredible Hulk and many others feature excellent gameplay elements which are completely based on the Marvel’s movies and movie characters. It must be noted that Cryptologic, one of the main competitors of Playtech, has a number of online slot games based on the Marvel Comics, which can cause confusion among fans and players. Therefore, it is quite important to understand that Marvel Comics and Marvel Movies are independent legal entities. Thus, Marvel Comics is free to cooperate with Cryptologic, while Marvel Movies is free to cooperate with Playtech. 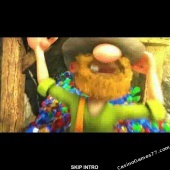 Playtech features a great variety of progressive jackpot games. 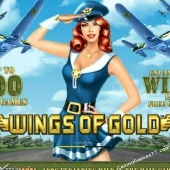 These games are not only so much fun to play, but also allow the players to score huge wins. 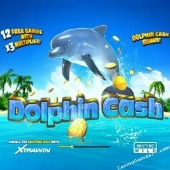 In particular, a unique 5 reel 20 payline progressive video slot game Beach Life awards jackpots which can go into the millions. The largest jackpot of this game known up to date exceeds over 4.5 million USD, while the smallest jackpot starts at 50 000 USD. Another exciting line of progressive jackpots is represented by the Marvel Movie slots. 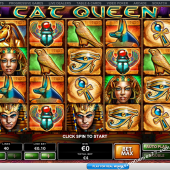 In particular, all Marvel Movie slots developed by this software company feature a multi- level, progressive Marvel Mystery Jackpot, which offers additional fun and excitement to the players. Marvel Mystery Jackpot is triggered at random, thus a winning combination is not required and this jackpot can start after absolutely any spin. Also, once the Marvel Mystery Jackpot begins, players can expect to win at least one jackpot for sure, which is quite exciting and satisfying for each player. Playtech is a leading developer of the live gaming software and is quite famous for developing the Live platform, an excellent live solution for the online casinos with live casino tables and live Asian or European dealers. Playtech Live allows each player to experience a wide range of classic games, such as Roulette, Blackjack, Baccarat and many others. Playtech Live offers live professional dealers which can appeal to various audiences around the globe and allow each player to experience the first class casino experience within the comfort of their own home. Live Gaming offers an exclusive audio-visual experience to the players, with excellent music, sounds and real time statistics using the high quality 3D video streaming.